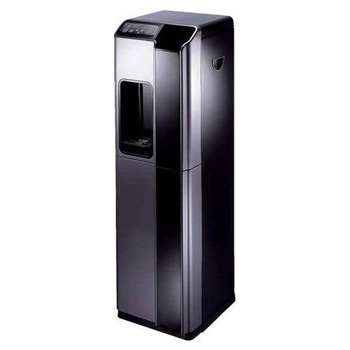 Most of our staff has lived in apartments for a good portion of our lives so trust us when we say that we FULLY UNDERSTAND the inconvenience of not having enough room to put all your stuff, let alone put a big, bulky water cooler in the corner someplace. For those who would like an additional level of water purification, FilterWater.Com will install a UV Water Sterilizer in the unit prior to shipping for a small additional fee. 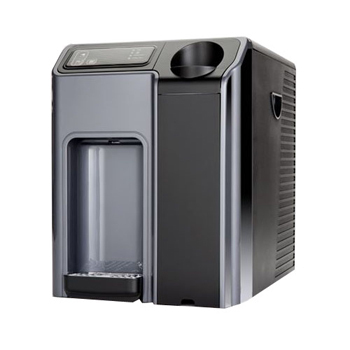 The G4 Countertop Water Cooler (G4CT) uses a reliable LG Compressor, qualifies as an Energy Star rated appliance, comes fully assembled with installation hardware included, and conforms to UL Standard 399 (for Drinking Water Coolers). Why would I want a bottleless water cooler? Putting it bluntly, your water tastes bad, you cannot install a water filter where you live, the thought of mounting 5-gallon jugs of water on a regular water cooler does not sound fun, and in the long run most people tend to make out better overall without the monthly water service bill. What tests determine if I need a water filter? We get this question all the time, and, as usual, we tell people to get their water tested by a certified water testing lab. National Testing Labs offers a reasonably priced drinking water test kit for around $160 that tests for 83 potential contaminants and a more comprehensive water test kit that tests for 103 potential drinking water contaminants including many chemical contaminants, such as pesticides, that occasionally turn up in well water. What about at-home drinking water test kits? After having your water analyzed professionally by a certified water testing lab it always makes sense to keep an eye on contaminants of concern and test kits like the SenSafe Water Quality Test Kit work well for the purpose — depending upon the water contaminants of concern. Single-parameter water test kits that test for things like hydrogen sulfide, nitrates/nitrites, free chlorine, total chlorine, coliform bacteria, total hardness, etc. work well if you already know what water quality parameter typically strays out of an acceptable range at your home or office. Got a question about home, school or office water quality testing? Drop us a line on our Contact Us Page and we will do our best to answer your question(s). As always, we thank you for visiting the Water Testing Blog! « There’s a Scumball in the Pool!